Reginald Cyntje’s group this weekend. Reginald Cyntje’s “Spiritual Awakening” shows at Bohemian Caverns Friday and Saturday provide uplift for us all, Project Natale does its thing at Twins Jazz and Alison Crockett does her eclectic songstress show at Loew’s Madison Hotel, providing just some of the highlights offered in the area for this holiday weekend. 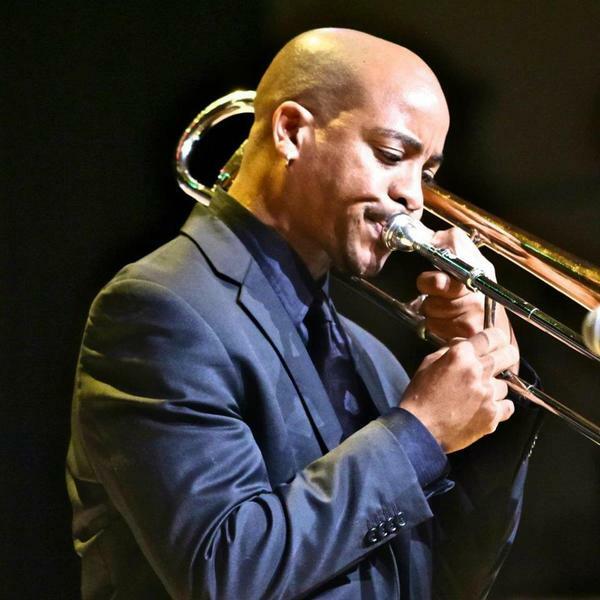 Trombonist Cyntje, not resting on the laurels from his latest CD, “Elements of Life,” released earlier this year to much acclaim locally and elsewhere, says he is unveiling nine new compositions in the shows at the Caverns, all with an inspirational theme. Performing with him is the reliable group of artisans featured on his last recording, including Christie Dashiell, vocals, Brian Settles, sax, Herman Burney, bass, Victor Provost, steel pan, Amin Gumbs, drums and Allyn Johnson, piano. See http://www.bohemiancaverns.com for more information. 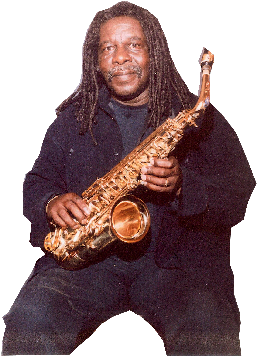 Cyntje, a native of the island of Dominica and raised on St. Thomas, U.S. Virgin Islands, was “steeped” in the music known as Quelbe, the official music of the Virgin Islands, and his introduction to improvised music. One of his favorite Quelbe songs, “Queen Mary,” has a message that has set the tone for his mission as a musician, says Cyntje, to inspire change with music. 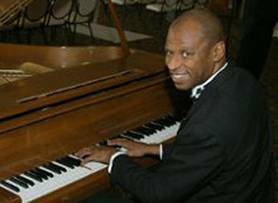 Elsewhere Friday, Ernie Douglas’ Kansas City Swing show is at Westminster Presbyterian Church, featuring Ernie Douglas, piano and vocals, and Lyle Link and Antonio Parker on saxophones. Saturday at the church, Thinking About Jazz delves into “The Rise & Times of Charlie Parker,” with Rusty Hassan presenting a program on the bebop king, whose birthday is celebrated this month. 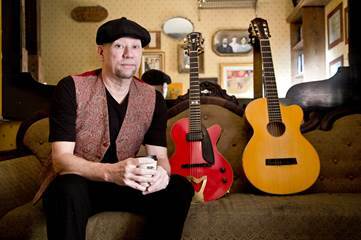 Project Natale plays Friday and Saturday at Twins Jazz, followed by the Bobby Muncy Quartet Sunday at Twins; Chuck Redd is at Loew’s Madison Hotel Friday, with Crockett performing there Saturday. at Westminster Presbyterian Church Sept. 5. Next week Baltimore’s own keyboard whiz Mark Meadows celebrates the release of his “Something Good” CD with a show Friday, Sept. 5 at Westminster, backed by another Baltimore product, Howard U. and Bohemian Caverns Orchestra saxophonist Brent Birckhead and Romier Mendez on bass. 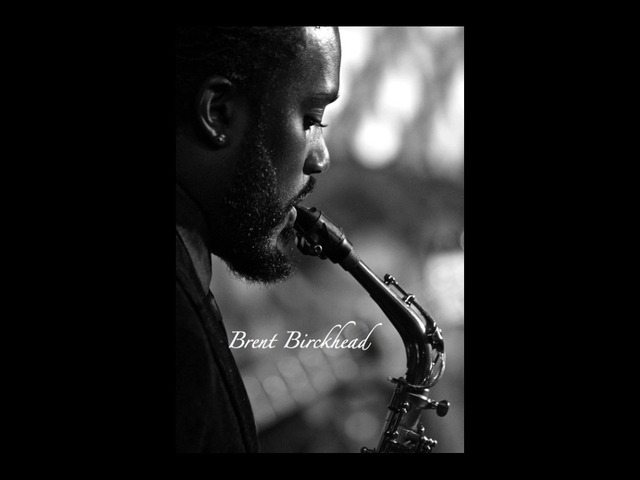 Birckhead, by the way, is to be the Artist in Residence at Bohemian Caverns every Tuesday in September beginning Sept. 2. Lena Seikaly is at Loew’s Friday Sept 5, with Marshall Keys there Saturday Sept. 6, the same day as the annual Silver Spring Jazz Festival in downtown Silver Spring. Transparent Productions, courtesy of our jazz hero Bobby Hill Jr., returns for its 18th season with a show Sunday, Sept. 7 at Bohemian Caverns spotlighting the Ingrid Laubrock Quintet. Originally from Germany, Laubrock has performed and recorded with Anthony Braxton, Dave Douglas, Mary Halvorson, among others, has won the BBC Jazz Award for Innovation in 2004, a Fellowship in Jazz Composition by the Arts Foundation and was named a Downbeat Rising Star for 2014. She is to perform with Tim Berne, sax, Ben Gerstein, trombone, Dan Peck, tuba, and Tom Rainey, drums. The next Transparent Production shows at the Caverns feature Darius Jones Sept. 14 and Cooper Moore Sept. 28. See http://www.transparentproductionsdc.org for more information. Our own Texas Tenor saxophonist, bandleader, educator and festival producer Paul Carr, coming off certain acclaim for his just released CD, “B3 Sessions (DC-NY),” celebrates the recording with a release party Sept. 17 at Blues Alley. The “DC” session, recorded at Blue House Productions in Silver Spring, features Bobby Floyd on organ, Bobby Broom, guitar, Byron Landam, drums and Sam Turner percussion. The NYC session has Pat Bianchi – a star at Carr’s Mid-Atlantic Jazz Festival in February – on organ, Paul Bollenback, guitar and Lewis Nash, drums. See http://www.paulcarrjazz.com for more information. Award-winning saxophonist, bandleader and educator Carl Grubbs, a Philly product who has used the Baltimore-Washington corridor as his home base for many years now, honors his mentor and influence John Coltrane with The Annual John Coltrane Celebration Concert featuring the Carl Grubbs Ensemble Sept. 20 at the St. Paul’s School Ward Center for the Arts in Brooklandville, Md. The group includes Jaleel Shaw, sax, Eric Byrd, piano, Blake Meister, bass and John Lamkin III drums. Go to http://www.contemporaryartsinc.org or http://www.carlgrubbsjazz.com for more information or call 410-944-2909. Speaking of new CDs, our own Terry Marshall, speaking of keyboard artisans, has released a new CD, “Arrival,” featuring original compositions and standards. And thanks to a heads up from our longtime jazz advocate Elana Byrd, the Terry Marshall Trio plays venerable Annapolis venue the 49 West Café Sat. Aug. 30. For reservations call 410-626-9796. Marshall is a favorite entertainer in the clubs as well as concert showcases like the Kennedy Center and Wolf Trap. See http://www.terrymarshalljazz.com for more information. Pretty fine comment coming from a pretty fine guitarist in his own right, yes? The body of work Paul Bollenback has produced has also produced similar accolades and Bollenback’s latest recording, “Portraits in Space and Time” is certain to lengthen that list. Portraits in Space and Time,” with Joseph Lepore on bass and Rogerio Boccato, drums/percussion, on the Mayimba Jazz label, shows off Bollenback’s intricate lyricism and compositional breadth. Bollenback, to appear in the region next at the Peabody Conservatory in Baltimore Oct. 10, has in effect weaved his own classical jazz symphony on “Portraits” with liberal folk, pop, free and funk accents, providing a CD that can appeal to those of all musical tastes. “Little Island” for example is an up-tempo, sweetly fashioned ride evoking sun and sand and fun, while “Bird in Sky” is a melancholy, thoughtful poetic work, and “Open Hand” starts somberly featuring Lepore’s sensitive bass, then whips into an almost free form rocker, with Boccato’s sizzling cymbal work a melodic treat all its own. Other highlights include “Dance Delicious,” “Dance of Hands,” and “Joseph,” a haunting, plucking, bowing treatise by Lepore. An academic not too stiff to swing, Bollenback is on the faculty in the jazz departments of Columbia University, Peabody Conservatory and Queens College and gives master classes worldwide in France, Italy, Czech Republic and Russia, according to Mayimba Music information. See http://www.paulbollenback.com or http://www.mayimbamusic.com for more information. Finally, best wishes to Tony Puesan and prospects for HR-57 reopening or relocating, with the news that the venue, the HR-57 Center for the Preservation of Jazz & Blues, that has meant so much to the jazz community for more than 20 years, has closed on H Street Northeast.